This website contains affiliate links, which means that its owner may receive compensation for recommendations made in reference to the products or services on this website if you make a purchase using those links. This compensation may be in the form of money, services or complimentary products and could exist without any action from a website visitor. Should you purchase a product or service that was recommended by this website, it is understood that some form of compensation might be made to its owner. For example, if you click on an affiliate link at this site and then make a purchase of the recommended product or service, its owner may receive compensation. Your price, however, will be the same as the one that you would get by accessing the provider of the product or service directly. You will never get a mark-up in the product price because of our affiliation to any provider. As a matter of fact, by clicking on an affiliate link at this website, sometimes you can get a special discount, which means that the final price you´ll pay for a product or service could be even lower than the price you would get by accessing the provider of that very same product or service directly. This can be so because from time to time the providers may offer special discounts for the visitors of some selected affiliate sites. 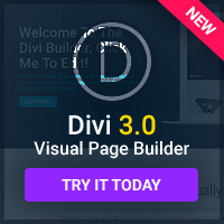 This Affiliate Disclosure has been provided for your protection and to fully disclose any relationship between Divi4u.com product or service recommendations and the owners of those products or services. 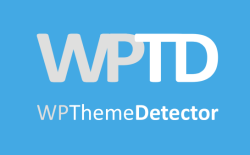 In particular, the owner of this website is an affiliate marketer of Elegant Themes. However this is an independent website, and it is not sponsored by Elegant Themes nor by any other provider. Elegant Themes, WordPress and any other registered trademark used throughout this website are the sole property of their respective owners.